Philippe Grandrieux is widely known for his detailed provocative experimental films. He is directing for the cinema for the past years and before that he was mainly involved with video art projects for museums and art exhibitions. Even though he has directed just three fictional films so far, every one of them has created some major interest. He is usually dealing with extreme themes and this is what makes him a member of the French wave Cinéma du Corps (Cinema of the Body/Cadaver). In 2008, after an absence of six years, since his second film La Vie Nouvelle, he returned with Un Lac (A Lake). The film was first screened in the Orizzonti section of the Venice Film Festival the same year and received a Special Mention. 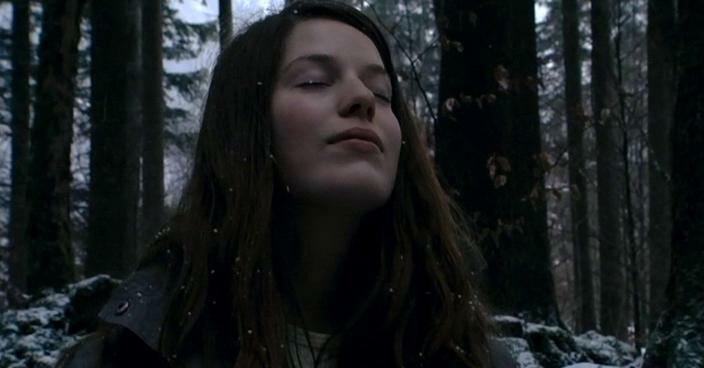 The story unfolds in an unfamiliar forested area during a snowy winter. 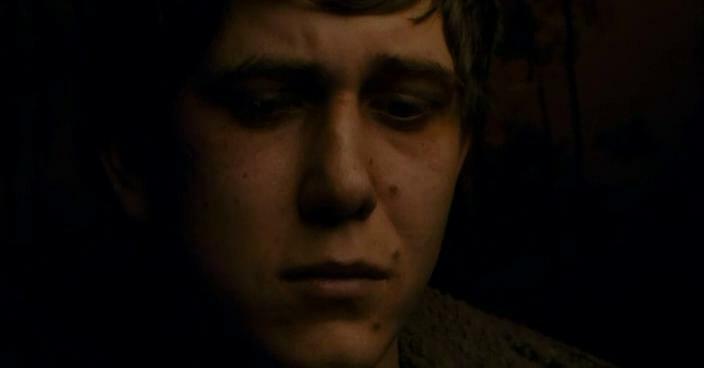 Young Alexi (Dmitry Kubasov) is a lumberjack, he suffers from epilepsy and has frequent seizures when he is the woods. The only one who can understand him is his sister, Hege (Natálie Řehořová), who has a special level of communication and relationship with him. The two of them live with their blind mother, their father and their underage brother in a secluded cabin close to a lake. One day, while he is in the woods, Alexi meets by chance an unknown man, Jurgen (Alexei Solonchev). Jurgen’s sudden appearance will disturb the hermetic family. Grandrieux manages to portray a metaphysical silent and frighteningly vertiginous poem located in the icy forests of the Alps. The story is loosely based on the well-known Norwegian book Fuglane (The Birds) by Tarjei Vesaas which also narrates the relationship between a sister and her brother who has learning difficulties. Alexi, like the book’s main character, due to his difficulties, is trying to communicate with the others by using the nature. Both main heroes can understand and perceive nature in a total advanced and different extent than any other common human. For this reason Alexi wants always to be in the woods, the place that he feels familiar and Hege is the only one who is aware of this need of him. Grandrieux decides to place his atypical Holy Family next to a frozen lake in a theoretically lifeless Paradise that could only be altered by the advent of a mysterious Temptation. With the exception of Alexi and Hege, the other members of the family are used as living figures on a tragically calm tableau vivant. The changes that the Unknown Man brings to the typically uneventful life of the heroes will be intense and very painful especially for Alexi. The close relationships that Jurgen develops with Hege will suspend Alexi’s exclusiveness in his sister’s life. In Un Lac, Philippe Grandrieux decides to move his direction one step further than the already known radical experimentation that has previously introduced to his audience. For that reason La Vie Nouvelle seems technically plethoric compared to Un Lac. The entire film is shot with a handheld digital camera and the director for the first time is also in charge of the cinematography too. Grandrieux drives deliberately the viewer into filmic blindness. Most of the times the lighting is insufficient and sometimes the shots are in complete darkness. There is almost no scene that the viewer can enjoy a full picture of the action because the shaky camera focuses on just one segment of it. The colors are also absent as the few times that they are trying to appear they are covered with fog and snow’s sublime white. The combination of the absolute darkness and the snowy white creates a feeling of a monochromatic landscape. Unsurprisingly this visual sparingness of image variation causes confusion and doubts on what is happening. In contradistinction with the optical fractions offered, the sound could be described as excessive and nauseatingly realistic. The lack of actual dialogues and the close sound reception in conjunction with the secluded cabin and the boundless forest, cause contradictable emotions. Despite the fact that all the events are happening in a wide open natural environment, at the same time they intensify the feeling of claustrophobia. The only thing that interrupts the respiration is the rumble of the falling trees. Usually Grandrieux’s films are characterized by an ambiguity to be identified geographically and nationally. 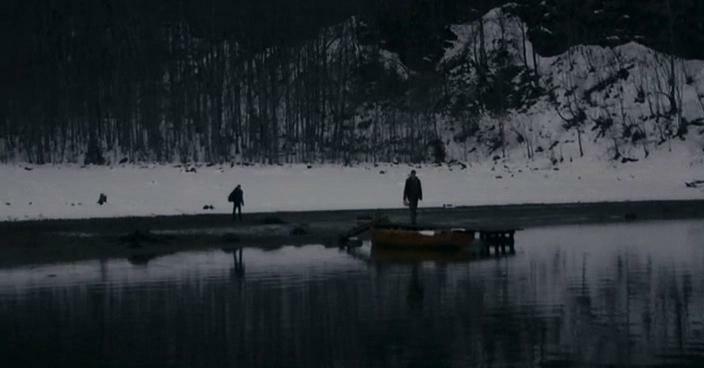 In Un Lac, the director creates a North European landscape, using mainly Russian actors and the minimal dialogues are in French. His persistence on minimalism and his focus on the basis of the art of filming transform his movies in experimental essays that have no cultural nor technical limitations. He succeeds to move easily between people and locations and with the same convenience he also moves among images, sounds and storytelling. The lack of rules and limits inevitably gives a more liberated sense to the film and for that reason theoretically it could be more easily accessed by a larger audience. Of course, the rough and intense elimination of all the known cinematic motifs doesn’t necessarily make Un Lac an approachable movie. On the contrary it could be characterized as highly demanding. The viewer should adapt to this new and unknown liberation and contemporarily stay precisely focused to an image that possibly is not visually appealing by the ordinary standards. This extremity of the film’s impression could be another reason that prevented a broad theatrical distribution.